Read the full farewell from outgoing Editor-in-Chief Cindy Shellito and introduction from incoming Editor-in-Chief Margaret Crowder. An example of the type of maps students are able to interpret after the course. This shows a 72-hour forecast made by numerical weather prediction, with mean sea level pressure (in black), 6-hour precipitation (color scale), and 850 mb temperature (blue below 0°C and red above 0°C). Webapps developed by the Cooperative Institute for Meteorological Satellite Studies (CIMSS) in collaboration with NOAA's Advanced Satellite Products Branch will help CIMSS train National Weather Service forecasters in 2017. 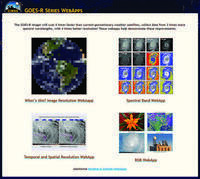 They are also important new tools in the "GOES-R Education Proving Ground," a CIMSS project that works with middle and high school science teachers who are using satellite data in their classrooms. Read full article. Figure 2: Screenshot of the interface that allows comparison between two different simulations of idealized “alien” Earths. There is a strong westerly surface current present for the tropical seaway case that is broken up by a supercontinent at the equator, reducing the poleward circulation on the planet. Find resources and teaching materials such as activities, course descriptions, visualizations, and effective teaching methods from SERC projects and collaborators for teaching about climate, climate change, and sustainability across the curriculum. 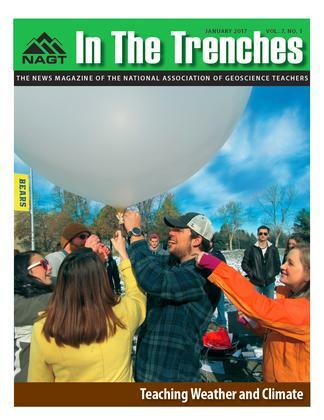 Explore tips, advice, and ideas for teaching this potentially controversial and misunderstood topic, addressing misconceptions, capitalize on the interdisciplinary possibilities for teaching about climate, and making this topic relevant to students' lives, even if they are not science majors.